The European Union’s General Data Protection Regulation (GDPR), also known as RGPD in French, and DSGVO in German is a regulation that applies to non-profit organizations, companies, and public entities worldwide to strengthen data protection for all the individuals within the European Union (EU). How is HumCommerce GDPR Compliant? HumCommerce automatically anonymizes data, so you don’t process any personal data which allows you to completely avoid GDPR. 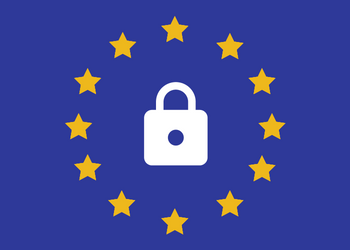 If you decide to process personal data, HumCommerce provides you with various features to easily comply with the GDPR guidelines. Right of access will allow your visitors to access their personal data. Right to data portability will provide your visitors a machine-readable format of their personal data. Right to erasure will respect the privacy of your visitors by deleting their personal data. Right to withdraw consent allows your visitors to withdraw their consent at any time. Right to object lets your visitors easily opt-out from tracking. Anonymizing features automatically anonymize personal data such as IP address, location, and more. Supports “Do Not Track” HumCommerce optionally applies the privacy settings defined by browsers. Delete historical data feature will automatically delete historical data after 12 months. Feel free to request a new feature by contacting us. We really appreciate if you can suggest improvements.